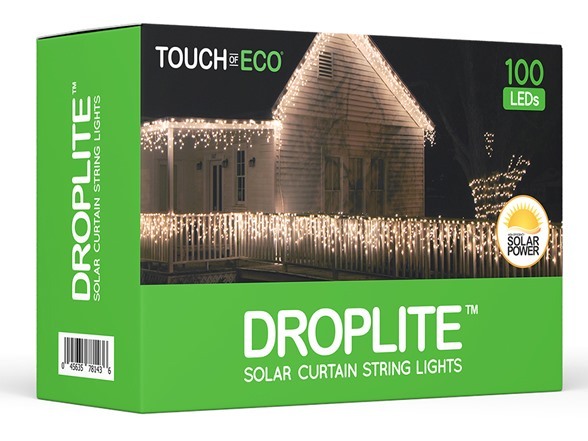 Decorate your home, yard, or outdoor living area with 100 solar powered curtain string lights by Touch Of ECO. Measuring over 14 feet long and featuring 11 strands of LEDs, these solar curtain lights provide up to 8 hours of light each night! 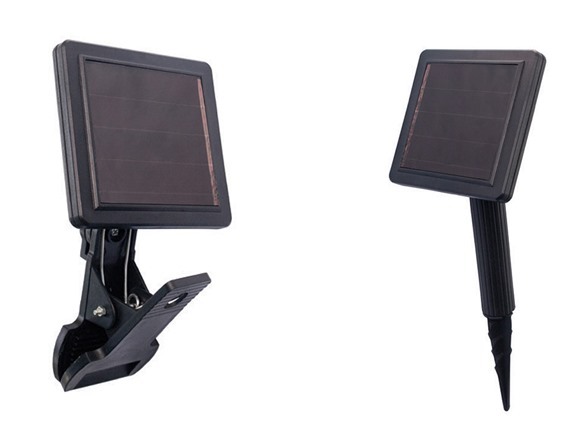 Plus the solar panel features two mounting parts so it can either be clipped onto gutters or tree branches, etc, or secured into the ground with the grounding stake. 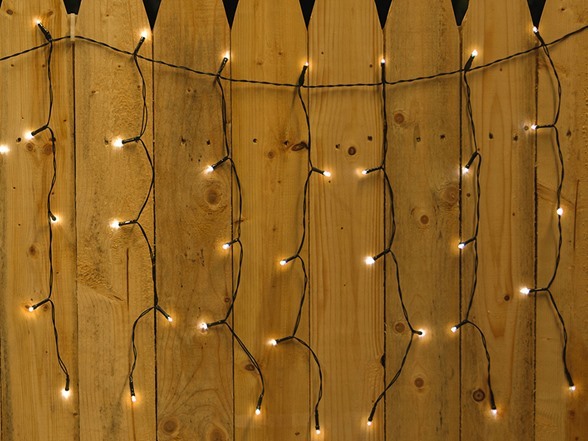 Best part is you can say goodbye to log extension cords , timers or having to plug your lights in each night. With the built in light sensor and upgraded solar panel the DROPLITE will turn on automatically each night and off each morning to charge. Plus you can choose between two light settings; flashing or steady! 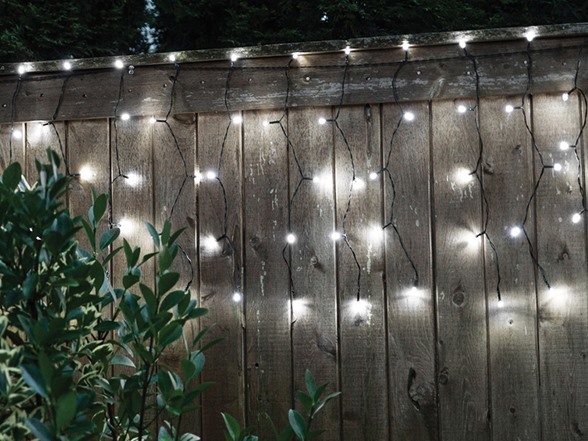 Adding beautiful year round decorative lighting to your home, roof, landscaping or deck. 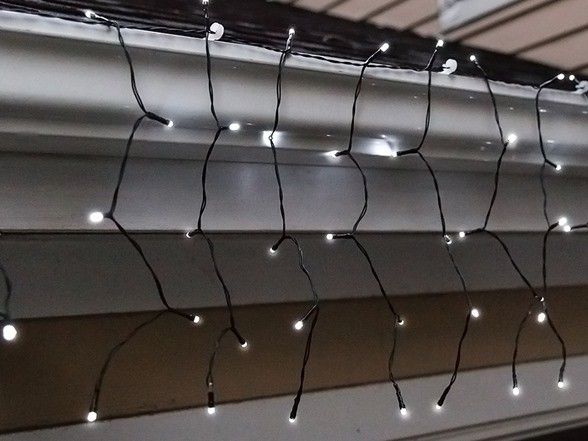 (1) Solar Curtain DROPLITE String Lights.